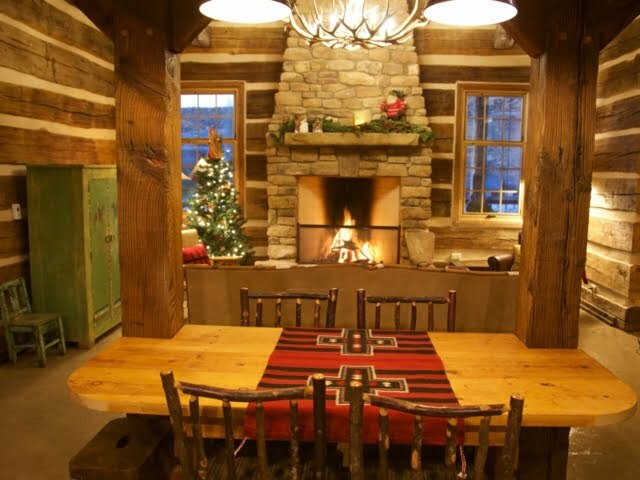 This finely structured antique log cabin was constructed by Winterwoods Homes. 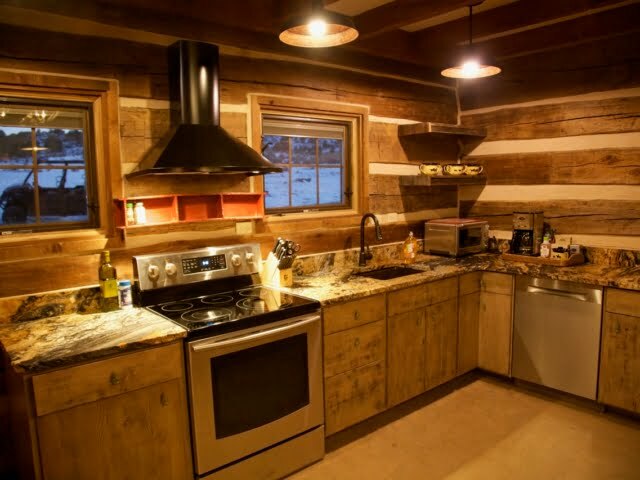 The cabin is the end product of the combined efforts of the contractor and their partners at Antiques Cabins and Barns. 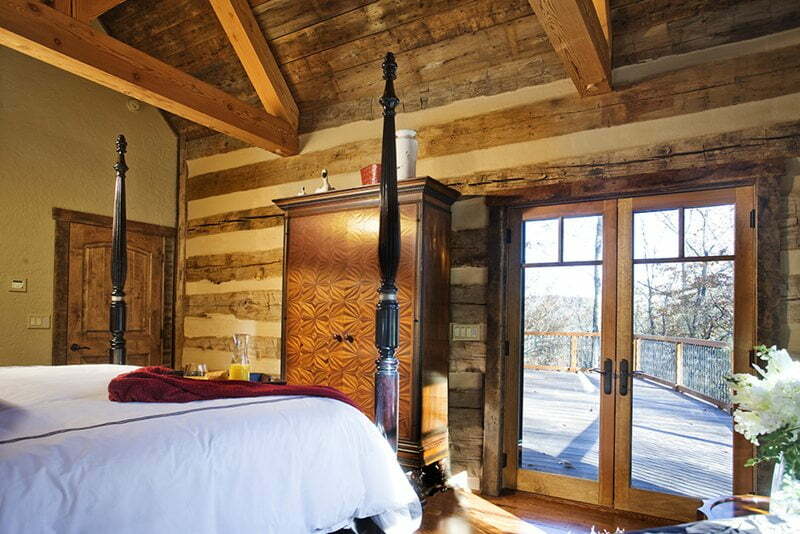 Flaunting an impressive visual, this cabin is actually a lot cheaper than it looks. A purchase of the house plan starts at $795 only. Considering its offer of a laidback and harmonic ambiance for its residents, it is an affordable abode you could be satisfied with. Inspired by the concept of an antique log from a sustainable source of natural elements in the surroundings, there is no need for extravagant expenditures in crafting such a pleasing architectural piece. It is indeed a good thing to point out that it uses common and inexpensive building materials for crafting such a design by choosing galvanized iron for the roof over the other types of roofs like asphalt shingles or shingle tiles, which costs higher. The use of veneered stone cut finish around the fireplace and on some areas of the wall have displayed enough contrast depicting a perfect blend for the design concept used and the transition of the materials pieced together in relation to the design. 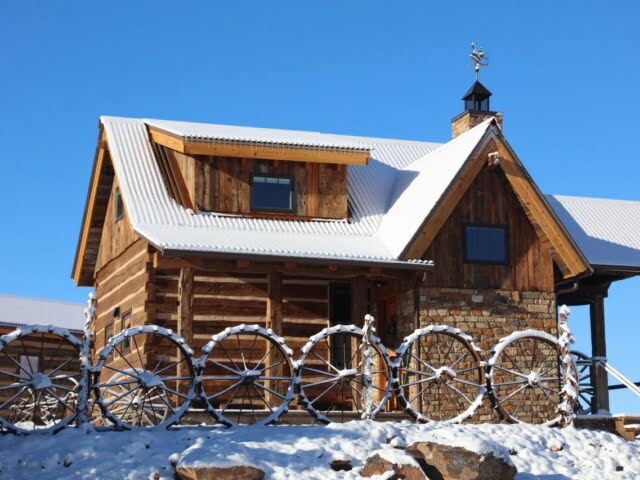 The Little Friar antique log cabin measures 828 square foot wide, housing an open planned area strategically making the livable capacity more spacious. The inviting homely feel of the living room where the fireplace is situated does not only guarantee a warm feeling physically but also metaphorically warming you for a peaceful tucking in on a mountain getaway with your friends or family. The structural wooden columns that occupy the central part of the open floor plan seem to become part of the dining area’s design instead of being in the way of the cabin’s core. 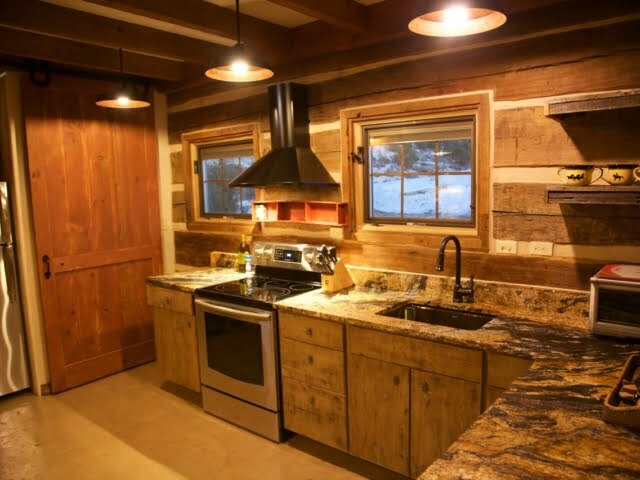 Moreover, the granite countertop for the kitchen blends well with the overall aesthetics considered by the antique cabin design. The master’s bedroom gives off a cozy atmosphere, making it hard to resist lying down comfy on the bed. 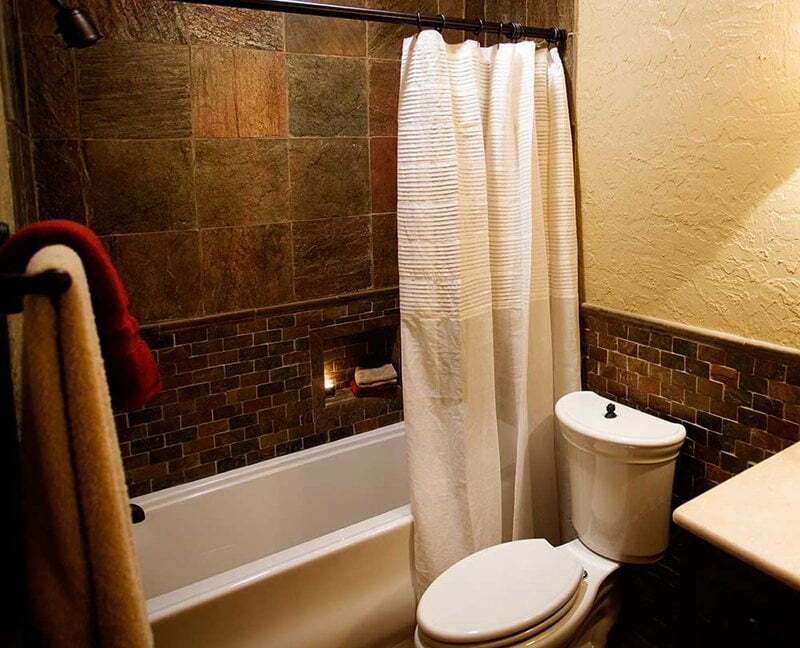 The full bath depicts an elegant impression despite having a non-spacious area. The last, but not the least, the loft which offers one more sleeping space for a vacation retreat overlooking the living room below is also worthy of praise, which completes the Little Friar’s overall wonderful architecture. 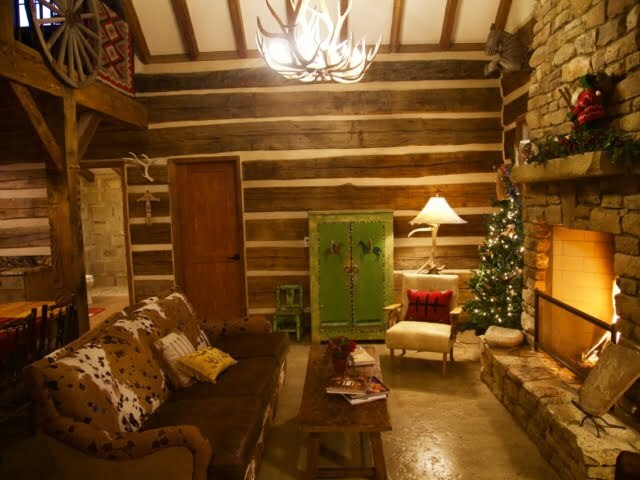 An antique log style that is perfect for your dream cabin. The sight of a cozy living room to relax with your family. 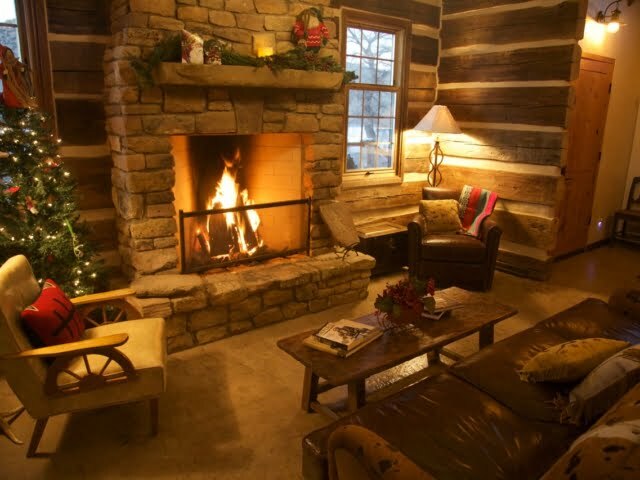 The stone cut fireplace finish suits the relaxing mood the Little Friar cabin offers. The open plan interior of the cabin makes a flowing circulation of warm air from the fireplace to share with the other areas of the house. Even the kitchen adheres to the overall design concept with the right material specifications for both the aesthetics and function. The kitchen’s strategic planning guarantees the function and ease of doing meal preparation tasks even with a limited area. 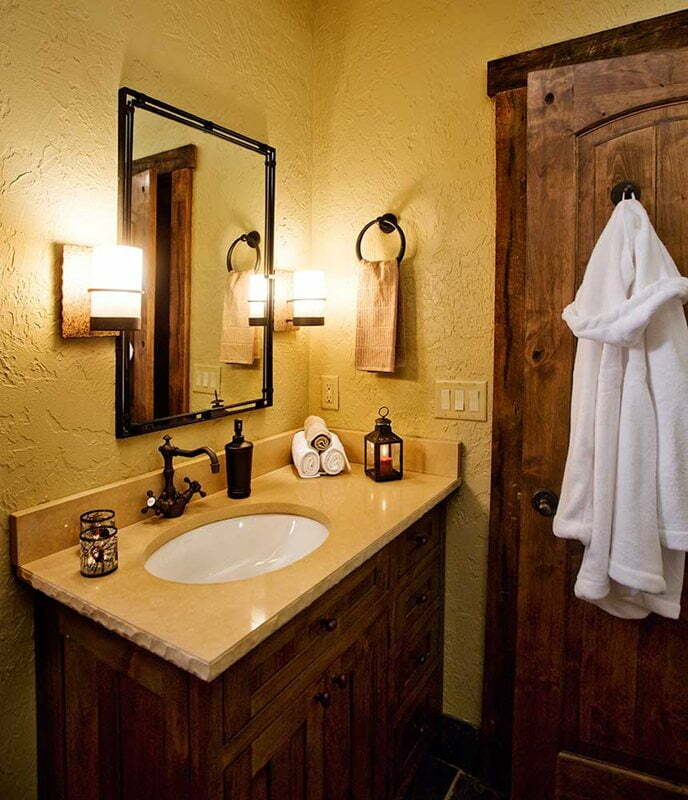 The full bath doesn’t fall short towards giving the same exact comfy atmosphere in comparison to the other cabin areas. Elegance doesn’t come with space, it comes with interior planning and right material selection as you can see in the cabin’s full bath. The master’s bedroom offers an utmost feeling of relaxation, tranquility, and sense of calmness, the very reason to embark on an enjoyable travel with your loved ones. 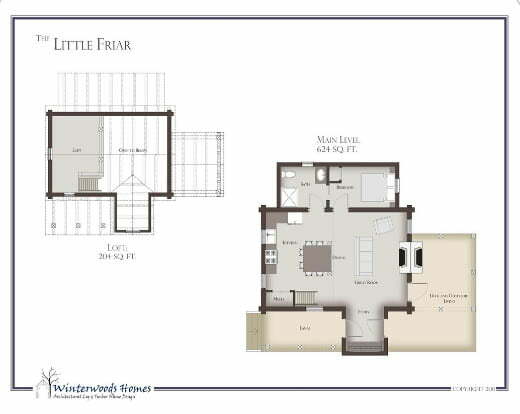 The Little Friar’s floor plan shows how the spaces were arranged to promote good circulation of occupant traffic despite the area constraints.